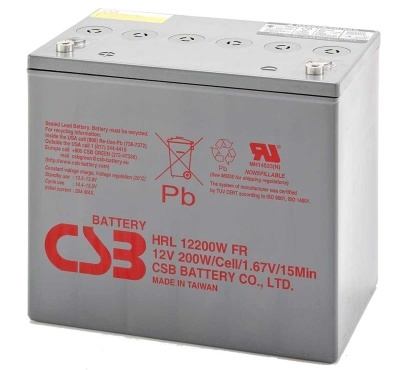 CSB Battery, now part of Hitachi Chemical Engineering, are the world's leading manufacturer of sealed lead acid batteries - their batteries are fitted by many of the world'd leading UPS manufacturer's including APC. 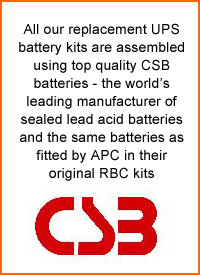 MDS are the official UK importers of CSB Batteries. 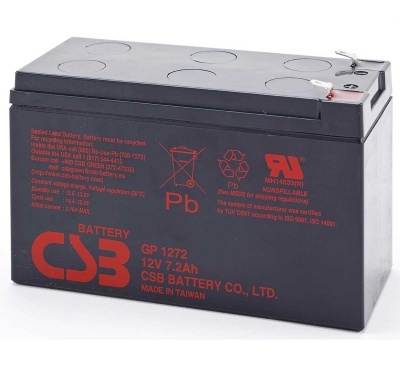 The CSB GP Series are general purpose Valve Regulated Lead Acid Batteries (VRLA Batteries) popular for alarm panels, security systems and emergency lighting applications. 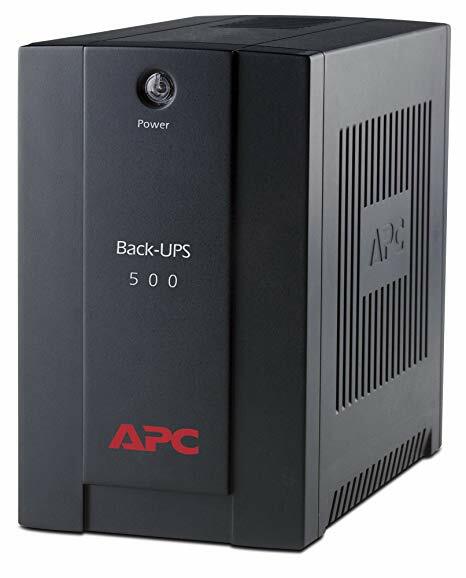 The are available in 6V and 12V models from 4.5Ah upwards and are rechargeable, maintenance free and have a design life up to 5 years. The CSB GPL range are similar but with a design life up to 10 years. 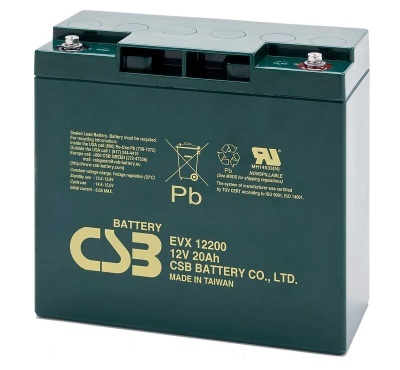 The CSB HR Series are VRLA batteries designed specifically for high rate discharge applications such as UPS systems and can deliver high rates of discharge over a short period of time - typically 10-15 minutes - and have a life span in standby mode of up to 5 years. The CSB HRL Series offer the same characteristics but with a design life of up to 10 years while the CSB XHRL Series combine extreme high rate discharge with an extended design life. The CSB EVX Series are optimised for cyclic use - ie constant charging and discharging - ideal for golf buggies, electric vehicles and mobility scooters. These are all 12V batteries, available in capacities from 7.2Ah to 72Ah and are typically used in pairs in mobility scooters and electric wheelchairs. The CSB EVH range offer higher capacity from the same sized battery often giving up to 20% additional range.